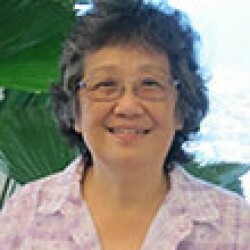 Karen Uno, niece of Mamoru and Aiko Takitani, has been actively involved with Hawaiian Host Chocolates for many years and is a trustee of the Aiko Takitani Trust. Ms. Uno has served the Mamoru and Aiko Takitani Foundation in several capacities since its inception and is a firm supporter of making educational opportunities available to students. ©2015 · Takitani Foundation, Inc.